This week, my mom has been doing her yearly testing for homeschool. Apparently it's called the CAT Test, but don't worry, she said it's not actually about cats. Phew! Well, she had to read some things about pawlitics and candy dates and such, and there was one thing that stood out to her that she told me about. 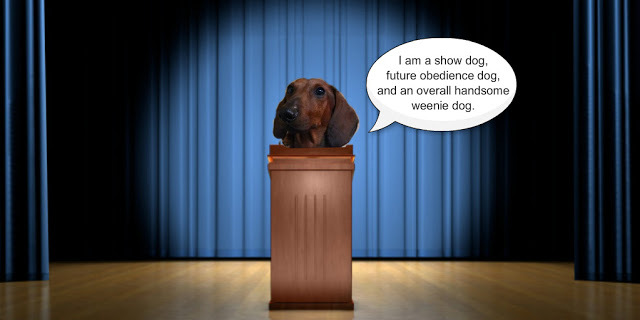 She said one of the paragraphs was about how pawlitical candy dates will often make promises and statements that make peeps vote for them, but they don't keep those promises and those statements are really just lies. Seriously though, why would a candy date, whose goal is to want what's best for his or her people, lie like that? Being a candy date doesn't mean making things up and boasting to get others to like you and vote for you! It's about saying honest things about yourself and your campaigns and what you'll bring to the world! Luckily, I know we don't have any of this in Blogville. I promise I'll never make unruly promises to you all, and that promise itself is not an unruly promise. BOL! Really though, it's true. You guys are PAWSOME, and I'll never let you down...I'll always have your back and keep my promises! At least we all know we can trust dogs! We know we can trust you Christmas! Good luck on the test...for your mom! If we can't believe in Christmas then we are in trouble BOL! If only we could talk the human candy dates into being as honest as we are!! PeeEss..We are sure your Mama did a great job on that CAT test! !